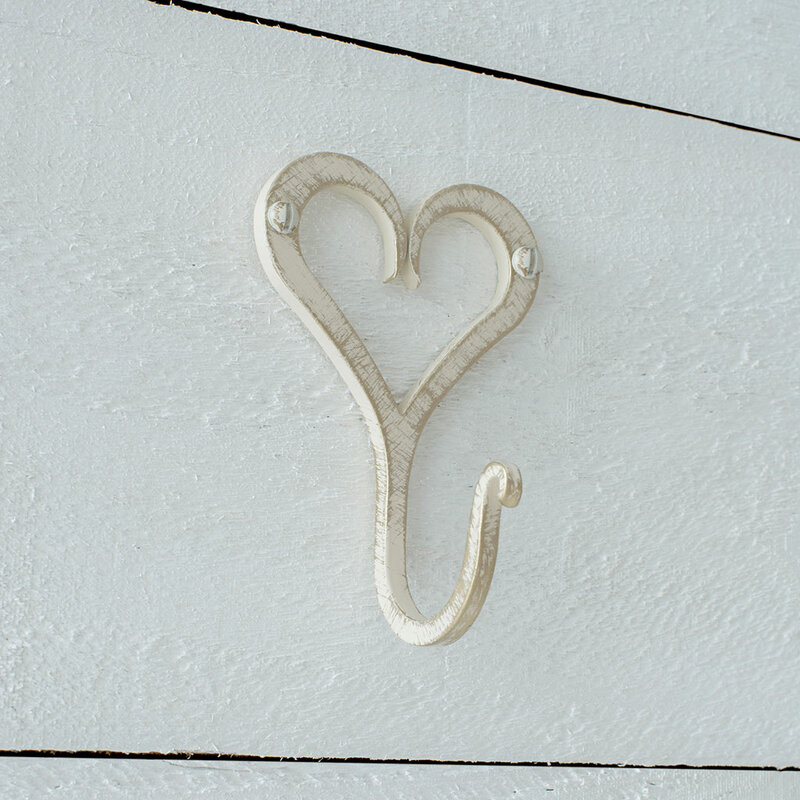 Our Forged Heart Hook is a beautiful, decorative yet practical item that will add a touch of individuality and sweet, country charm to any room. Hand forged in a choice of finishes, it makes an ideal gift. Great for hanging on the wall or the back of a door, why not use them to make a feature of kitchen items like utensils, bags or pans. 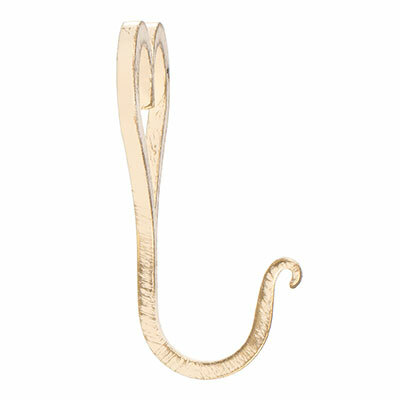 Or, you could line them up in a row to hang towels in a bathroom, or photographs, pictures and collectibles to create an eye-catching feature in a bedroom or hallway. 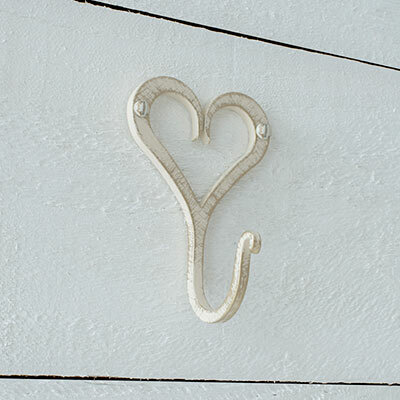 Lovingly hand crafted from solid steel, this Forged Heart Hook is finished in old ivory, a look that is achieved when the metal is painted in our beautiful, dull old gold paint with an ivory top coat that is carefully distressed to reveal the gold underneath. This gives it a soft, shabby chic finish that will look good in any traditional or contemporary setting. 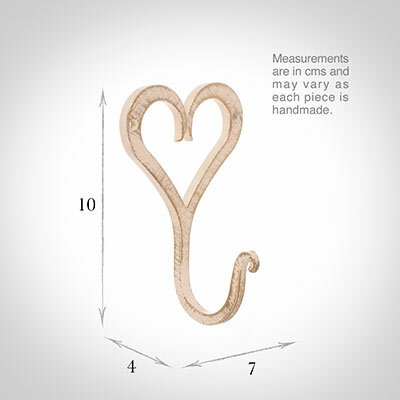 The Forged Heart is 10cm high x 7cm wide and 4cm deep and is supplied with fixing screws in the same finish. 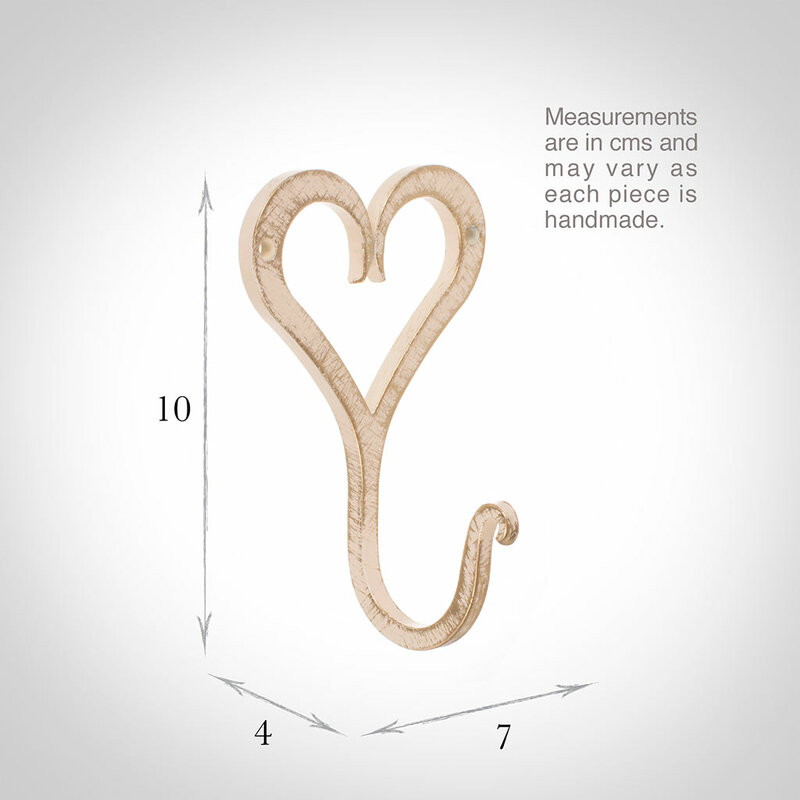 It is also available in beeswax, matt black, old gold, clay, plain ivory and polished. For more storage solutions see our shelves and shelf brackets and our hat and umbrella stands. 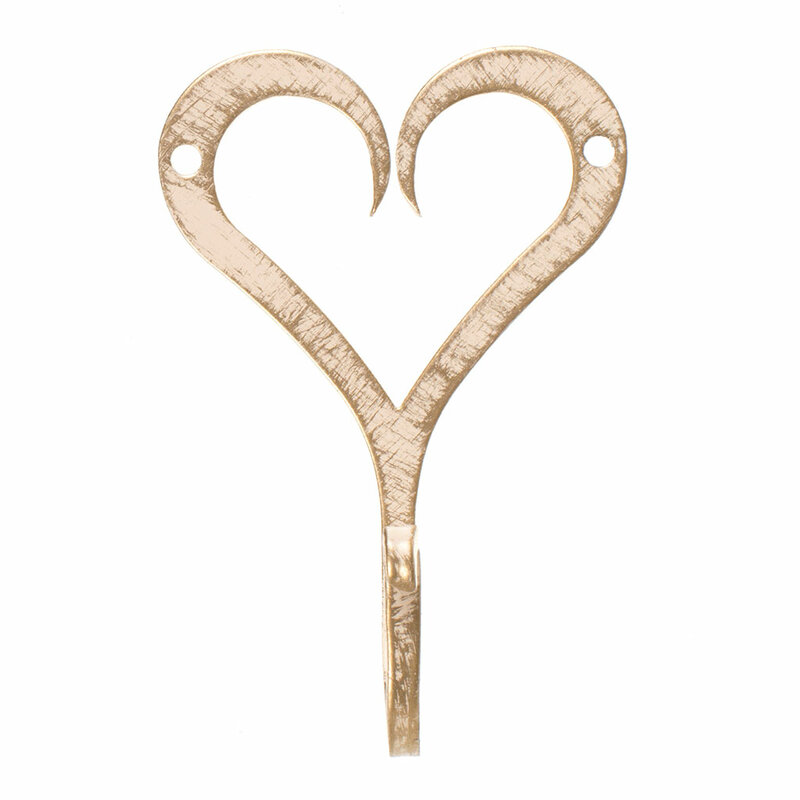 We have quite a few of these, they are the best heart hooks we have found. 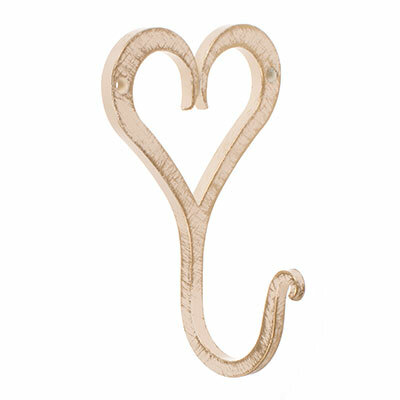 Lovely shape, beautifully made, have just ordered four more in assorted colours. 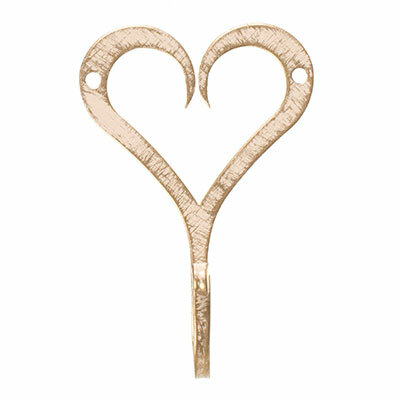 Heartily ('scuse the pun!) recommend them!